The New Year’s holiday is always a big one for us working DJs. I’ve been lucky to have the opportunity to keep it low-key and spin at a spot that feels just like home, The Druid Pub. This will be my fourth New Year’s Eve party there. We do it a little different than the typical Thursday set-up, too. First they rip every table and chair out at the start of the night. And then to maximize the size of the dance floor (and to ensure the safety of my gear), I set up shop in the front window area. It’s an awesome perspective because I literally can see every single person who walks through the door. Usually for big nights at The Druid, the classic party jams fare well. Expect a lot of hip-hop throwbacks, nu and vintage disco, ’80s jams, and some indie rock anthems. After midnight anything is possible. Last year I did a classic house set, something I don’t always get a chance to do, and it went over nicely. The 12/31 Druid hit is sandwiched nicely between a couple of sure shots. On Saturday 12/30, DJ ABD and myself will be downstairs at Good Life, and then for your New Year’s Day hangover needs, I’ll be spinning a Onesie Brunch at City Tap in the Seaport area. I totally just snagged a Narwhal onesie from Amazon for that gig. It might get wild. 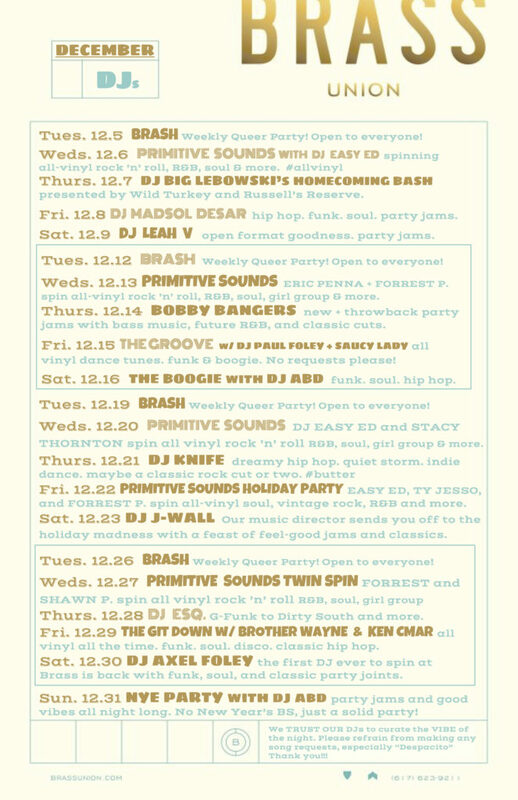 Check out my full New Year’s weekend schedule below and click through for more info. 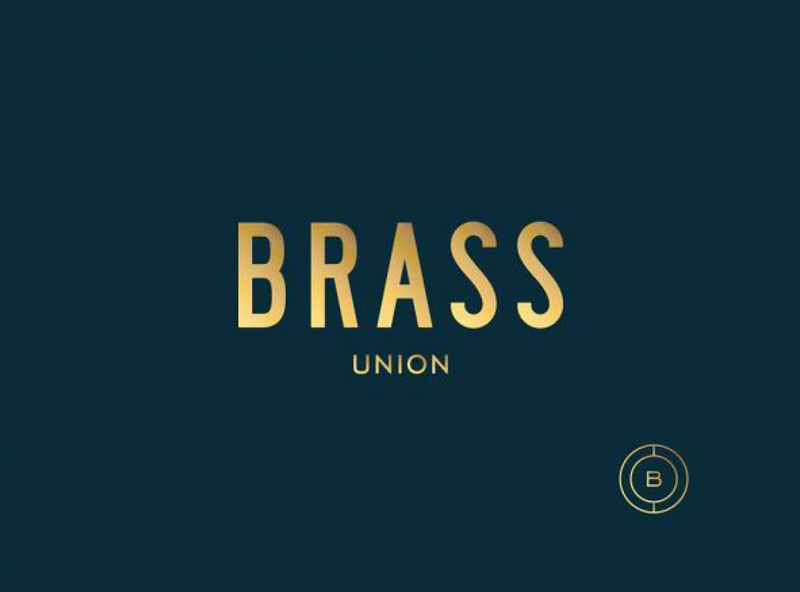 I always enjoy putting together the monthly schedule for Brass Union. It’s a trip to see so many talented names on one poster. 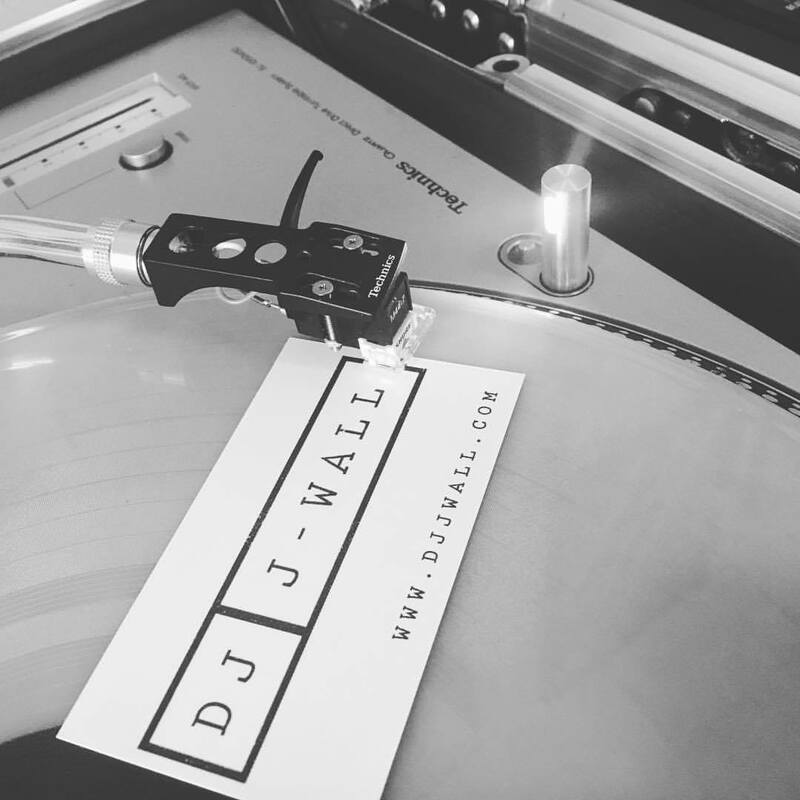 I’d like to give a special shout to DJ Axel Foley, who’ll be back on Saturday 12/30. Foley was the first ever DJ to spin at Brass and has been a huge influence of mine over the years. Seeing him spin with the band Dub Apocalypse years ago made me want to be a DJ. Check out the full schedule below. I’ll be there on Saturday 12/23!